The preparation is easy. 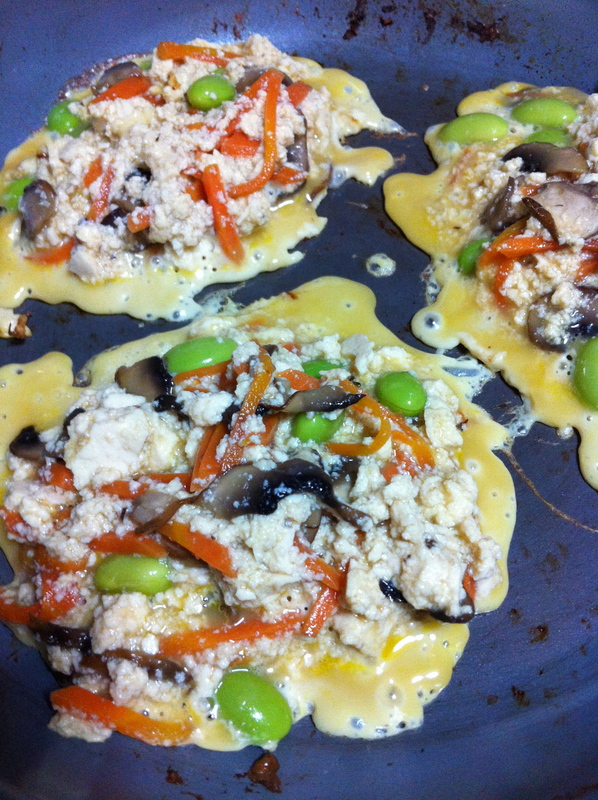 Doing all the cutting and mixing the tofu, egg and assorted vegetables together probably took me about 15 minutes. This is not counting the time taken to drain the tofu of water. The cooking part took me about half and hour because I had to do patty by patty. I did about 3 pieces a batch. It took me a while to get the hang of the flipping because the mixture was really soft and mushy. The texture makes it difficult to do a whole big piece at one go, and hence the small patties. According to the recipe, the time taken should be about 15 minutes for approximately 6 pieces of patties (it all depends on how big your patties are). The recipe involves 200g of tofu. 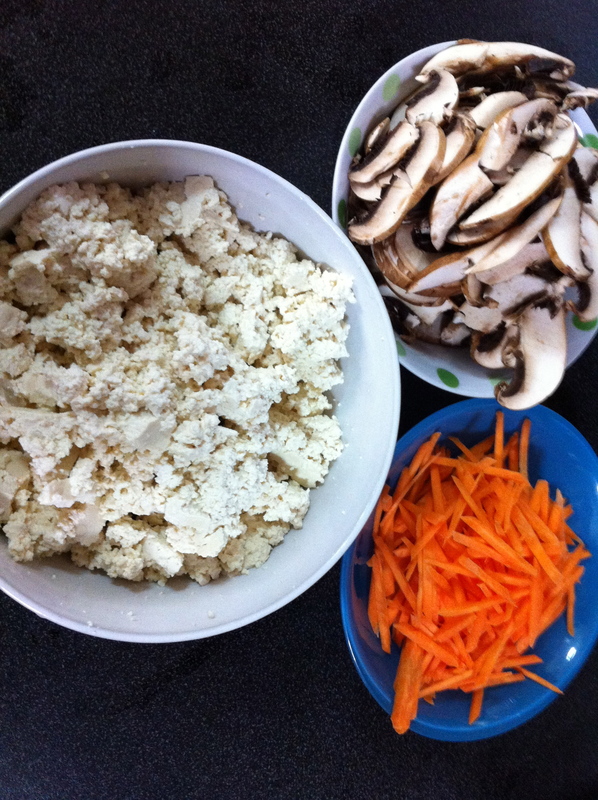 The tofu I bought from the supermarket comes in 300g size, so I made 600g worth of this, which is 3x the recipe amount. All in all it took me about 45 minutes, including cleaning up along the way and cooking another simple Chinese stir-fy simultaneously. #2 didn’t really like the texture. Perhaps because there were mushrooms inside and mushrooms are not his favourite. Maybe it is also because he wasn’t prepared for the texture because I told him it was egg. However, #1 and #3 loved it. 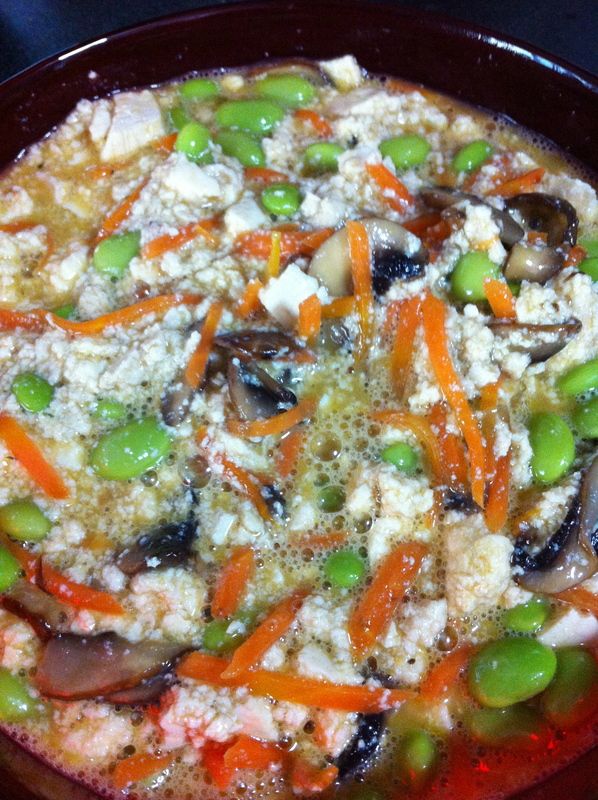 My hubby thought it was nice too and would make good diet food for people on low carb diet. The one thing I will change the next time I make this is to reduce the amount of sugar (or totally not add sugar). In fact, I found Masa’s recipes tend to be a little on the sweet side. A bit too sweet for my taste. So I will reduce the amount of mirin/sugar for all future recipes. This is purely personal preference, of course. 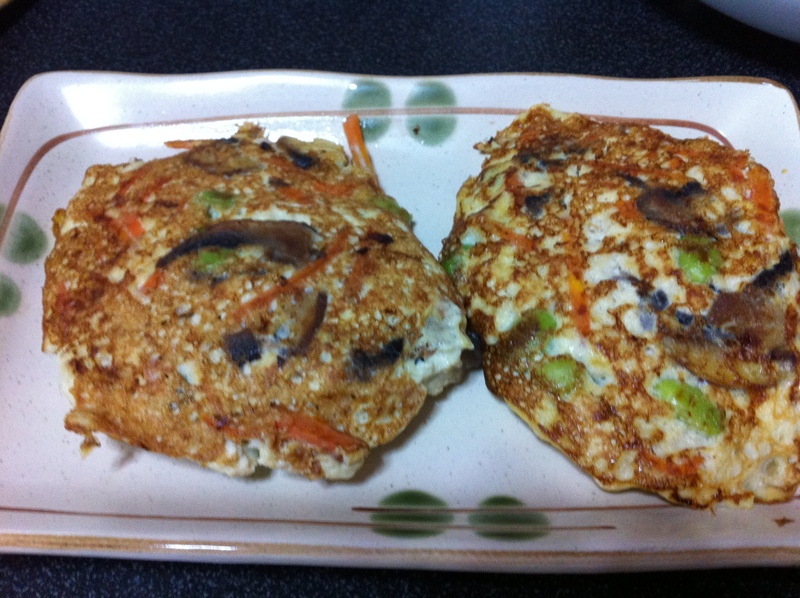 This Tofu Omelet with Assorted Vegetables recipe is actually available on Masa’s blog. Refer to it for detailed instructions on how to make this dish.